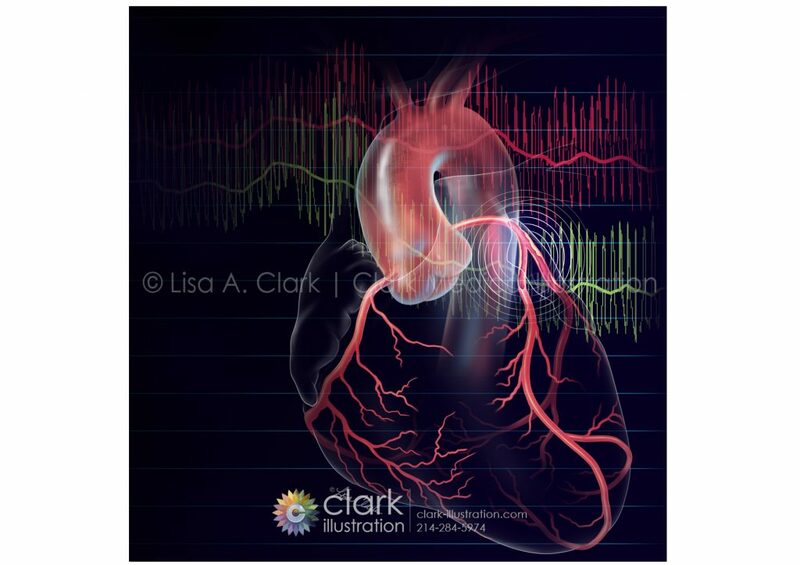 Recent cover illustration for a cardiology journal article about adding physiological assessment to enhance angiography clinical decision making. During the past two decades, fractional flow reserve (FFR) has emerged as the preferred physiologically based assessment due to its technical simplicity. More recently, trials demonstrating the benefits of instantaneous wave-free ratio (iFR) have given physicians another option for functional assessment. FFR and iFR are both indices that use the concept of flow reserve to evaluate the severity of a coronary stenosis.